Going abroad isn’t the only way to learn about the world. 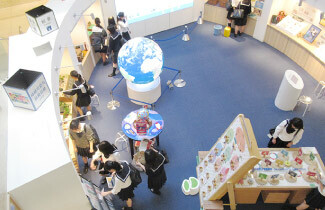 At Kosei Girls’ we have developed a curriculum to teach our students about culture both at home and abroad. We make sure that our students get a well-balanced education with a focus on both English skills and international knowledge. In 2014, we established a new subject called“International Understanding.”We have developed a variety of lessons for this subject. Through interactive discussion style classes, our students gain the knowledge and skills needed to carry out their research projects. Students learn how to convey various aspects of Japanese culture and develop the skills needed to gain an understanding of global cultures. 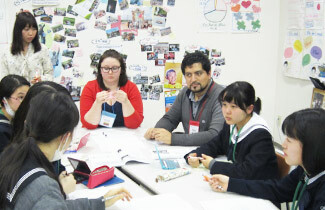 We invite both students and lecturers from Japanese universities to our school to provide workshops for our students. Here our students learn about the UN’s SDGs (Sustainable Development Goals.) 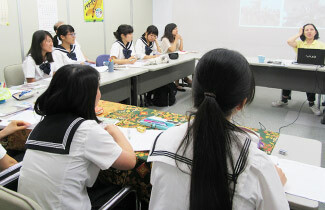 They are also able to hear about the experiences of JICA participants firsthand. Our students visit a range of NGOs and NPOs. For example, they visited an NGO called the APLA to learn about Fairtrade. Students speak on a range of topics such as war, disasters, and immigration. 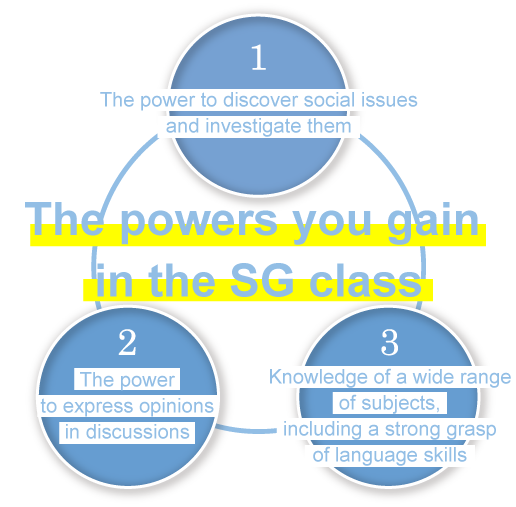 They develop an awareness of the issue, then process their ideas into a logical order before sharing their opinions with their classmates. We invite distinguished speakers from various fields to speak to our students. These have included Nobel Prize recipients, diplomats, designers, researchers and so on. Through this program, our students have the chance to meet with international students who are studying at graduate schools across Japan. They discuss various topics in English, have poster sessions and make English presentations. 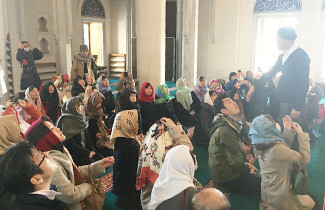 Students visit a wide range of out of school locations such as mosques and museums. This helps them to gain insight into today’s current events.